The pocket diary entries of Sergeant James Littler starkly reveal what daily life was like for soldiers in the trenches during the epic struggle on the Somme. The Allied attacks on the Somme, launched on 1 July, continued throughout the summer of 1916, mostly on a series of limited individual objectives. When these were captured the Germans frequently mounted counter-attacks of their own to recover the lost ground. The offensive eventually included 12 separate battles, many of which became slogging matches that lasted for weeks. Littler’s unit, 12th Battalion The King’s Royal Rifle Corps, fought in several of these engagements and his diary provides an insight into the feelings of the men who waged this bitter struggle. 29 July: Battalion moves on to Courcelles where they become battalion in reserve. I move with transport to Couin. Accommodation rot. Very heavy bombardment. The country beautiful but hilly. Right in the Somme, 3.5 miles north of Albert. 30 July: Church parade at Courcelles. Very heavy bombardment by our troops. We capture Longueval. 31 July: Our boys go into the line at Beaumont Hamel. 1 August: Trenches. Two killed four wounded. 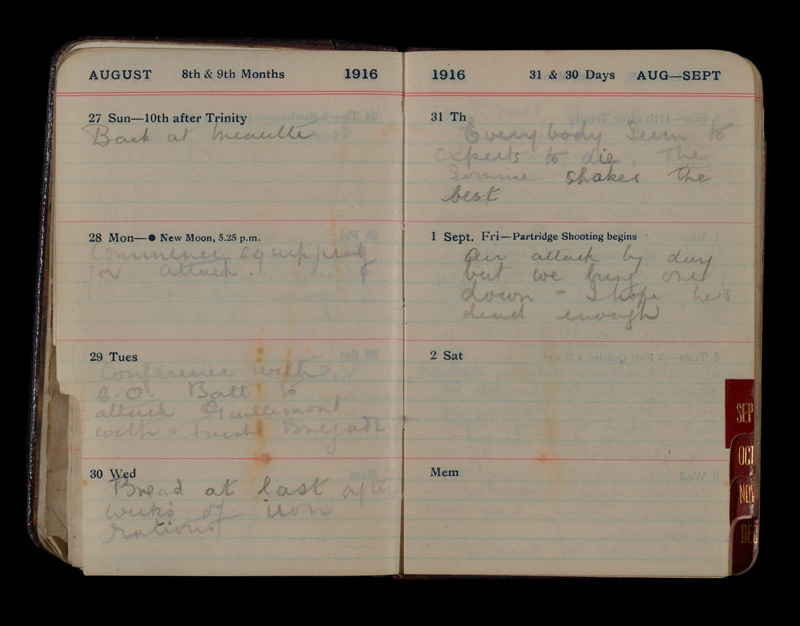 10 August: Move to Méaulte – a horrid place with mud everywhere. 11 August: Everybody fed up as our presence here proves that we are to enter the Somme fight. 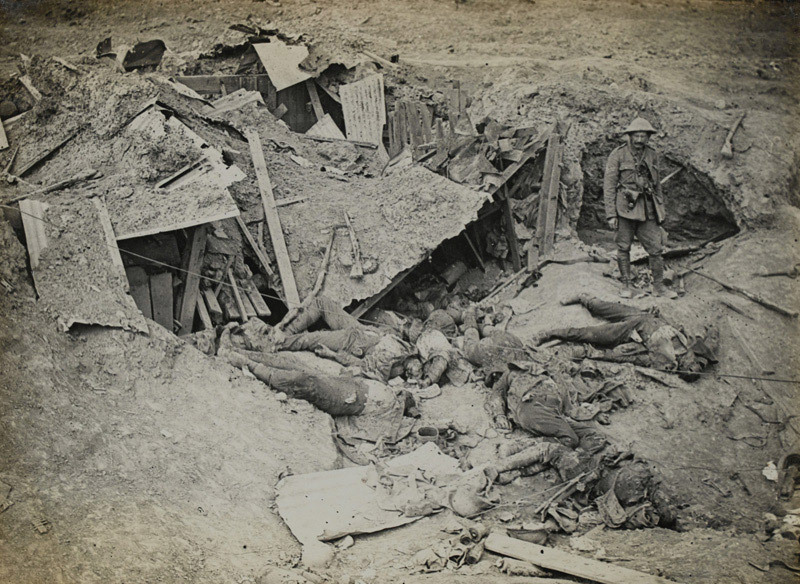 12 August: We go into the line at Trones Wood – a hell of a show – no dug-outs and very little lunch. 13 August: We assist in attack and capture two lines. The whole place a mass of dead. 14 August: The smell of the dead is rotten. It makes one hate war. 15 August: Buried by mine explosion. I am carried from line to field ambulance but won’t go to hospital. 16 August: Relieved at night. I feel hopelessly fed up. 17 August: Even out the line sleep is impossible for the devil won’t leave off shelling. 18 August: Rushed back to line to assist the R. Bucks [Oxfordshire and Buckinghamshire Light Infantry]. First taste of liquid fire – a wonderful but terrible sight. 19 August: Out of line – God only knows for how long. 23 August: In the line again at Bernafay Wood. 25 August: We smash a hot attempt by Fritz to gain our redoubt. 26 August: Relieved by the KSLI [King’s Shropshire Light Infantry]. 27 August: Back at Méaulte. 28 Aug: Commenced equipping for attack. 29 August: Conference with CO [Commanding Officer]. The battalion to attack Guillemont with Irish Brigade. 30 August: Bread at last after weeks of iron rations. 31 August: Everybody seems to expect to die. The Somme shakes the best. 1 September: Air attack by day but we bring one down – I hope he’s dead enough. 4 September: Wind up. The parson holds special intercession service for us and cheers us up by saying many will die. Line at 11.30pm outside Bernafay. 5 September: At midnight our artillery rained shell on the Bosche up to 4.15. Then we start. God, what a day. Our losses 600 but we get Guillemont. 6 September: We dread counter-attack, but thank heaven that Fritz has had enough. Relieved at night. 8 September: Allowed to rest all day. I wonder what my poor Mam and Dad are thinking? Thank God they cannot think the truth of this unbearable life. 9 September: Our fears are realised. We are to take Ginchy and cemetery very soon. 10 September: I attend church parade. A very quiet service in memory of the pals we have lost. Poor old Bellton is amongst them. 1 October: Move back to Méaulte. Fed up. 5 October: We go into the line at Gueudecourt at night. Rotten place and mud knee deep. 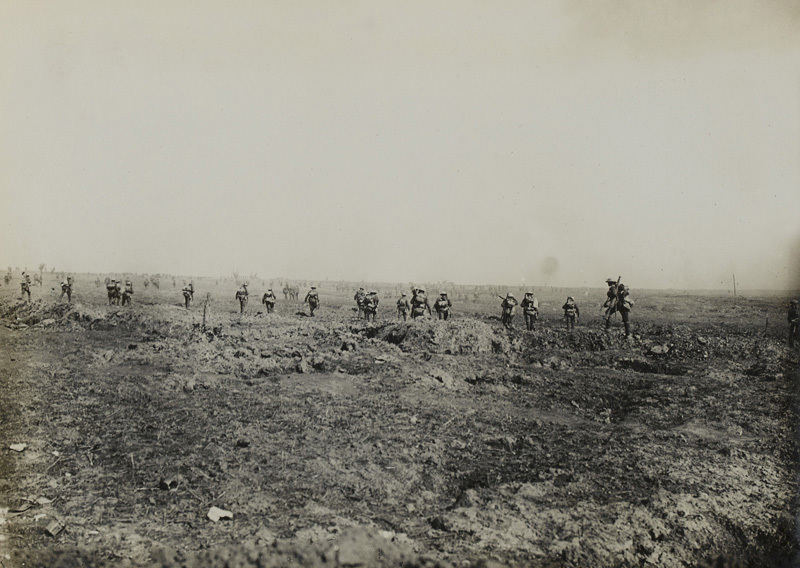 8 October: Relieved at night and moved to Carnoy camp – just a mass of mud. 10 October: Lena Ashwell’s concert party comes and we enjoy life. 12 October: Up with Co[lonel] Musgrave to reconnoitre line – a lively show, way to it by duckboards. 13 October: Line at night. Easy relief. 14 October: We are to attack tomorrow. I return to Carnoy. 15 October: Battalion attacks and does well but lose heavily. My dear pal Alf [Fishwick] badly smashed. He is unconscious when I see him. I just feel as though all is lost. 17 October: Carnoy. Trench feet breaking out. 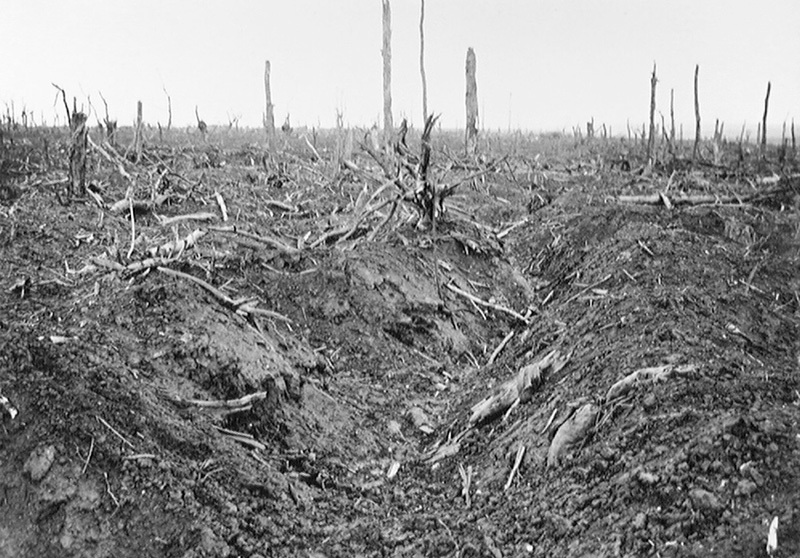 21 October: Gueudecourt line again. 22 October: Fritz makes a bombing raid and poor Perry is killed. For the next few weeks Littler’s battalion was out of the line training and resting. On 17 November he spent ‘a ripping day at Amiens. It is easy to forget war there’. The following day, General Sir Douglas Haig shut down the offensive after the weather had deteriorated. With no breakthrough secured the Allies had only advanced seven miles (12km). The British Empire had suffered 420,000 casualties of whom 127,000 were killed. The French army sustained 200,000 casualties. German losses were at least 450,000 killed and wounded. The Somme was one of the bloodiest battles in history, and as Littler’s diary shows, a terrible ordeal for the soldiers. For many, it exemplified futile slaughter and military incompetence. While Haig’s tactics were sometimes inflexible and remain controversial to this day, such views ignore the fact that the Somme was a tough lesson in how to fight a large-scale war. A more professional and effective army emerged from it. The tactics developed there, including the use of tanks and creeping barrage, laid some of the foundations of the Allies’ successful attacks in 1918. The objective of relieving pressure on the French at Verdun was achieved. Indeed, Haig had no option but to continue to fight on the Somme. Abandoning the French at Verdun would have greatly tested the unity of the Entente. Enemy casualties were equally heavy and, with a smaller pool of manpower, Germany was less able to sustain such losses. 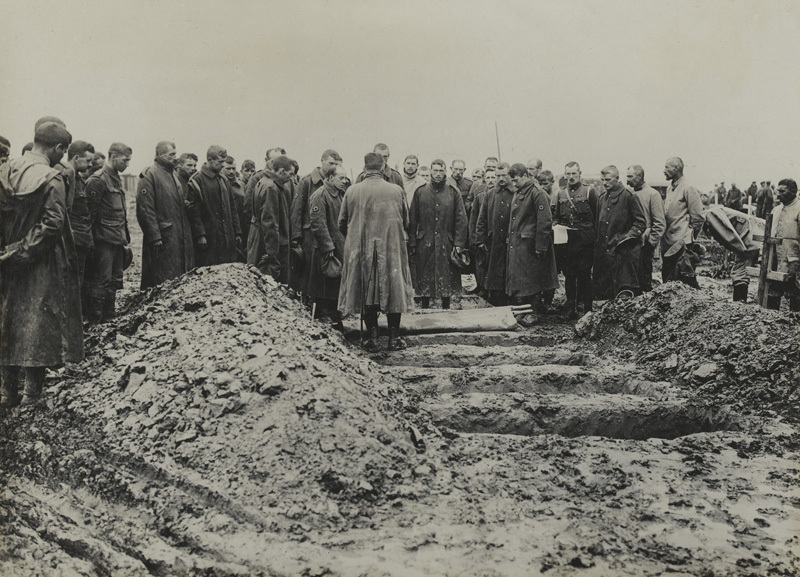 One German officer described the battle as ‘the muddy grave of the German Field Army’. That army never fully recovered from the loss of so many experienced junior and non-commissioned officers. In the spring of 1917 the Germans retreated to the ‘Hindenburg Line’, a shortened defensive position. This move was partly caused by troop shortages resulting from the Somme fighting. James Edward Littler (1895-1961) was born in Manchester in November 1895. He was the son of James Edward Littler, a painter and decorator, and his wife Letitia. He had a younger sister also called Letitia. In 1901 the family resided at 25 Sefton Street, Manchester, and in 1911 at 44 Butler Street on Oldham Road. James was then working as an errand boy assisting a lather. Littler joined up on 3 September 1914, enlisting in the 12th (Service) Battalion, The King’s Royal Rifle Corps, which was then being raised at Winchester as part of the ‘New Army’. He gave his trade as engineer and signed up for the duration of the war. Part of 60th Brigade of the 20th (Light) Division, his battalion trained at Bisley, Blackdown and Larkhill before landing at Boulogne on 22 July 1915. It went into the line near Bethune. By this time Littler had been promoted to sergeant. In July 1916 the battalion transferred to the Somme front where it fought at Delville Wood, Guillemont, Flers-Courcelette, Morval and Le Transloy. Littler was promoted to regimental quarter master sergeant in October 1916 and continued to serve on the Western Front, fighting in many battles including those at Langemarck, Menin Road Ridge and Polygon Wood. He later transferred to the Royal Air Force in April 1918. In September 1927 he was married in Manchester to Evelyn Mary Taylor. They had one son, James Geoffrey, born in 1930, and a daughter, Mary Constance, born in 1936. James Geoffrey Littler was later Second Permanent Secretary at the Treasury and knighted for his services. His father James Littler later settled in Devon, residing at 7 Seafield Avenue, Exmouth. He died on 8 March 1961 in Exeter.